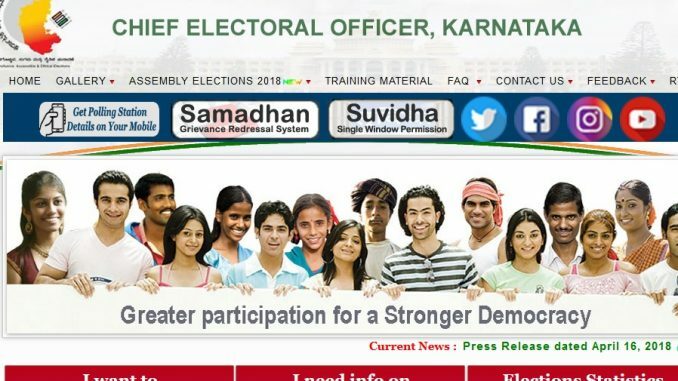 Chief Electoral Officer, Karnataka, website has been playing Peekaboo with the citizens for some time. When we think that we have found it, at last, it misbehaves for a few days and hides again. If you are a visitor without purpose, it could be entertaining to see various avatars of the site. Now I see the home page of Drug Control Department when I try to see the CEO’s site. However, by entering http://164.100.80.163/ceo3/ we can get the CEO’s page. Peekaboo! In addition to different websites appearing when we look for CEO-KA website, the data we get from different official sources also differ widely, confusing and misleading the citizens. As per the Manual on Electoral Rolls, October 2016, published by ECI, the final rolls once published should not be altered. Additions, deletions, and modifications are indicated in the supplements to the main part. The part, section, and the serial number of the voter should not change till the rolls are integrated, which is done once a year, mostly in October. Though this is not explicitly stated in the manual, we infer this from the procedures mentioned in the document. Also, such has been the practice by CEOs of various states and UTs. Therefore, the voter records that appeared in the integrated rolls published on 30 Nov 2017 should have remained as the main part of the rolls without any change in the next version published on 28 Feb 2018. However, voters were further shuffled across parts in the version. More than 2,000 electoral rolls missed hundreds of serial numbers, creating confusion. E.g., AC1600118.pdf had starting serial number 6, and ending serial number as 1,888 for the 486 voters in the document. This part had 944 voters in the version published on 30 Nov 2017. In a meeting on 19 Mar 2018, the Joint CEO, and Special Commissioner, Elections, accepted that there were such errors and they would be corrected. Now, the CEO-KA has quietly corrected 2,558 of the 8,287 electoral rolls of Bangalore and republished on his website. Though these were published much later, the documents show the date of publication as 28 Feb 2018. When the organisation is not quality conscious, corrections come with their own set of new errors. Regression tests? What is that now? The hard copies of the electoral rolls were printed in Feb and distributed to the recognised political parties. The political parties, however, don’t seem to care about the truthfulness and integrity of data. EROs and their staff also get the hard copy electoral rolls, who use the documents in their work on electoral roll maintenance. Even when digital copies are available, they leaf over lakhs of pages of electoral rolls to find records, detect duplicate entries, inform voters, etc. Access to the digital copies, for them as well, is through CEO-KA website, which is difficult to access and has been taking people to wrong sites. To put an axe on your own foot! The data in the PDF electoral rolls have now changed softly, but unknown to the people using the hard copies – officially using a wrong version. EPIC number ZUI5475405 is at serial 14 of the officially distributed hard copy of AC16000118.pdf. The polling station for the part is Merry Mount Nursery, Primary, and High School, Devaraj Urs Road, Vekateshapura, KG Halli, Bangalore – 560 045. Search on CEO-KA website gives the record at serial number 2 of part 118 of AC160. This matches with the soft copy of the PDF electoral roll on CEO-KA website. Search at NVSP site gives the record at part 112 of the constituency, serial number 2. Polling station address is Sophia English Nursery Primary & High School. NVSP site also states that the record was last updated on the date of the query. NVSP has been out of sync with voter data of Karnataka for a few years. I have been requesting them to stop the disservice. Three official sources and three different versions of the data. The principle of defect clustering states that if we find some defects in an area of the system, there would be far more undetected defects there. Educated urban middle class does not vote? I am from this section of the society and do not like the blame. Someone pointed that I should try opening it in Internet Explorer. When I open ceokarnataka.nic.in on Internet Explorer, it redirects to http://164.100.80.163/ceo3/hm_ec.aspx and I get the homepage. Another lesson learned. Note: This piece was published originally on P G Bhat’s blog and republished here with permission. P G Bhat is a retired naval officer and software professional, an educationist and a social worker. If you are a voter from JP Nagar, here’s all the information that is relevant to your ward – candidate info, infrastructure details, outstanding bills and more. In what way does your vote matter? 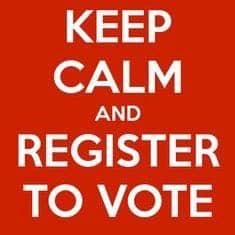 Why should you register as a voter? Some answers to basic questions that bother a citizen. Malnad is the region in Karnataka that covers the western and eastern slopes of the Western Ghats. The food from this region appeals to a lot of people in Bengaluru.